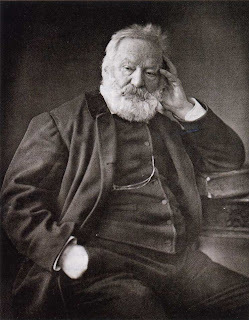 "Victor Hugo would write naked and tell his valet to hide his clothes so that he’d be unable to go outside when he was supposed to be writing." What does procrastination tell us about ourselves? A review of The Thief of Time: Philosophical Essays on Procrastination (Oxford University Press) in the New Yorker may point you in one or many directions. Really, I can only wonder if Hugo applied a similar process to his drawing.